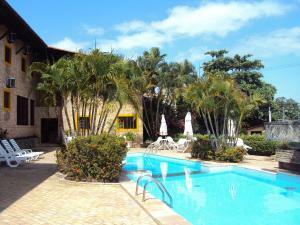 Pousada dos Girassóis offers private chalets in the heart of Pipa, 400 metres from Praia do Amor Beach. Offering an outdoor pool and free WiFi, the hotel´s on-site restaurant serves regional and international dishes. The chalets are fitted with a TV, an open kitchenette and central solar-power heating. You will find a 24-hour front desk at the property. The guest house also offers car hire. The nearest airport is São Gonçalo do Amarante International Airport, 64 km from the property. 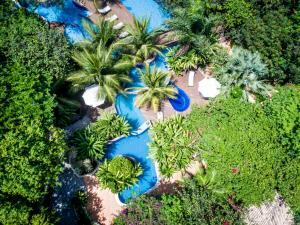 When would you like to stay at Pousada dos Girassóis ? This chalet has garden views, a seating area on the ground floor and the bedroom on the top floor. It is equipped with air conditioning, a TV, minibar and a solar-powered shower. This large chalet has pool views, a seating area on the ground floor and the bedroom on the top floor. It is equipped with air conditioning, a TV, minibar and a solar-powered shower. 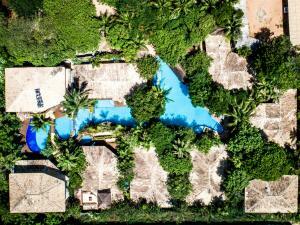 Each day we'll check prices and send you an email for your selected dates at Pousada dos Girassóis. If you don't have specific dates but would like to check prices for say next weekend or say next month we can check the price too. Click to write a review and share your experience of Pousada dos Girassóis with other travellers.